Understanding not only how you handle situations but how your spouse handles things is extremely important in any relationship, but especially important when that relationship ends and the prospect of divorce is looming. Difficult decisions need to be made when parties are usually in a high emotional state. Knowing your spouse’s tendencies as well as your own will help you and your spouse maneuver through the divorce process more quickly and more efficiently. you can set up your process and timeline based on the inherent expectations. 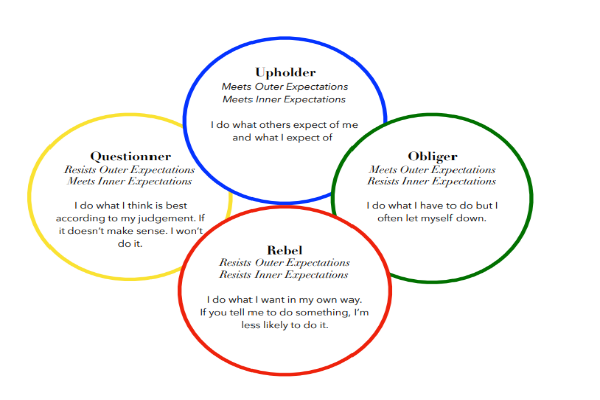 To find your which type of person you are take The Four Tendencies Quiz. Download Gretchen’s the Better App to help with every day life. ⟵Which Divorce Process is Right for You?